What does ethical fashion mean and why is it different from the fashion we buy on the high street? The clothes shops on the high street have found a very profitable business model in making cheap clothes that don’t last very long, and delivering new styles every week so that we want to go back and buy more. Unfortunately, in order to do this, they need to use very cheap factories overseas, where the working conditions are bad, and vulnerable, impoverished people are exploited. All this clothing production also puts a massive strain on the environment (don’t forget most fabrics are made from plants) and throwing old clothes into landfills also contributes to making fashion the second most polluting industry on the planet. Some high street retailers are realising this terrible problem and trying to make their businesses more sustainable but they have an awful lot of work to do. There are many fantastic smaller brands out there who are aware of these problems too and have set up their businesses to make fashionable clothing that protects people and the planet. It’s very difficult for fashion brands to be entirely ethical so many of them focus on one particular area to do very well - such as using organic cotton or fabric made from recycled plastic, or ensuring workers are paid a fair wage to name a few. Buying second-hand or vintage is another great way to buy clothing more ethically and save it from ending up in landfill. Why is the issue of ethical fashion important? It’s important in the same way that separating your recycling is important, or using public transport over your car is important, or knowing where your food came from or buying Fairtrade tea and coffee is important. The fashion industry will not last under the current system. The amount of clothing we consume goes up and up each year. The concept of owning a huge wardrobe and buying a new outfit instead of repairing an old one is relatively new and it was encouraged by the people who own fashion brands; some of whom are amongst the richest people in the world. They haven’t thought through the long term consequences of this and have only looked at the short term profits. Environmental and humanitarian disasters, like the collapse of the Rana Plaza factory in 2013 which killed over 1,000 garment workers, will continue to happen if we don’t change the system. We have to start acting now, and encouraging the big corporations to start acting now by telling them that we’re willing to pay more for our clothing if it means the people who make it receive a fair wage. We must also promise to keep hold of our clothing for longer. How do we go about starting to make high street and mainstream designer fashion more ethical, and what changes can we as individuals make to help improve the situation? I think we shouldn’t have to feel guilty about shopping on the high street because we, as consumers, didn’t ask for this awful stuff to happen. It was a decision made by the brands and we have to tell them that, as the people who keep their businesses afloat, we don’t want to be a part of it. You can write to them or use social media to tag them in a photo of your clothes label and ask them #whomademyclothes. That’s a great initiative started by Fashion Revolution to raise awareness and lobby brands to be transparent in their supply chain. You can also be more conscious of your shopping habits. Try looking for places to shop that have a sustainability promise, or shop in charity shops, or organise a clothes swapping session with your friends. Don’t feel the pressure to go shopping all the time just because your favourite bloggers are posting a new outfit every day on Instagram. Also, if your clothes are damaged, learn how to fix them. This is a much better thing to do than giving them to a recycling scheme, as only 1% of clothing can actually be recycled. Reading up on ethical fashion and making yourself aware is also an important first step, so well done for reading this article. What is The Fashion Debates and what sort of discussions do you have? The Fashion Debates is a new series of events held in London that discuss all sorts of ethical issues in the fashion industry and asks what we can do about them? We also livestream our discussions through our Facebook page so you can join in from anywhere in the country, or even the world! 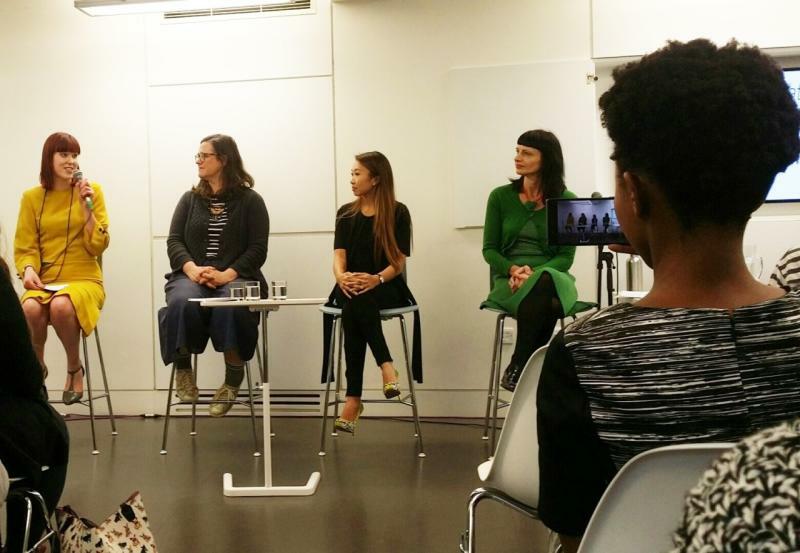 As you can see, ethical fashion is a huge topic that encompasses lots of different things so rather than try to tackle it all in one evening, we host our events every two months on a different topic each time. Our first event discussed sweatshop labour, our next event will be on racism in the fashion industry and in the future we intend to cover topics such as animal welfare, models and eating disorders, ageism, environmental pollution and lots more. What are your favourite ethical fashion brands? Monkee Genes is super cool, super fun and make all their clothing ethically, using organic material wherever possible. If you love your trainers then you have to check out Veja, who use Fairtrade and organic materials. Antiform is a stylish and affordable upcycled clothing label, and Suede and Co is a new Etsy discovery of mine that I really like - they sell really cute upcycled bags, purses and pencil cases that are made from the off-cuts of vintage suede and leather clothing which are cut shorter to appeal to a modern audience. 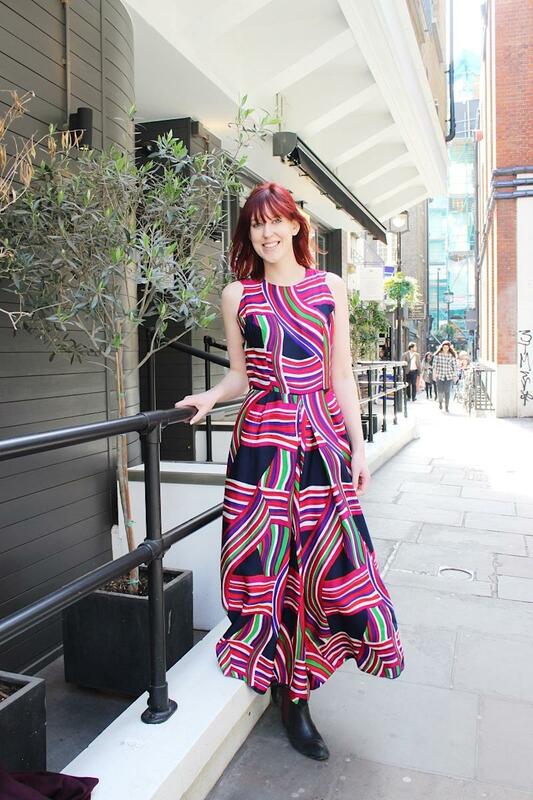 When is your next The Fashion Debates event and how can people buy tickets? Our next event for The Fashion Debates, on the topic of Is The Fashion Industry Racist?, is on Thursday 14th July from 7pm to 9pm at the Condé Nast College of Fashion & Design, 16-17 Greek Street, London, W1D 4DR. Tickets cost £10 + booking fee and can be purchased at www.thefashiondebates.com. Interested in blogging for us? Join our Yahoo Blogger Network!